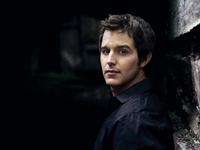 Easton Corbin will be on stage at the Brownwood Reunion Celebration, September 17th. Come enjoy this fun filled weekend and see all the great entertainers over the weekend for one great price. Plus family fun at the carnival and lots of booths plus some of the best fair food you find anywhere. Make plans to stay with us at Star of Texas Bed & Breakfast while in town.